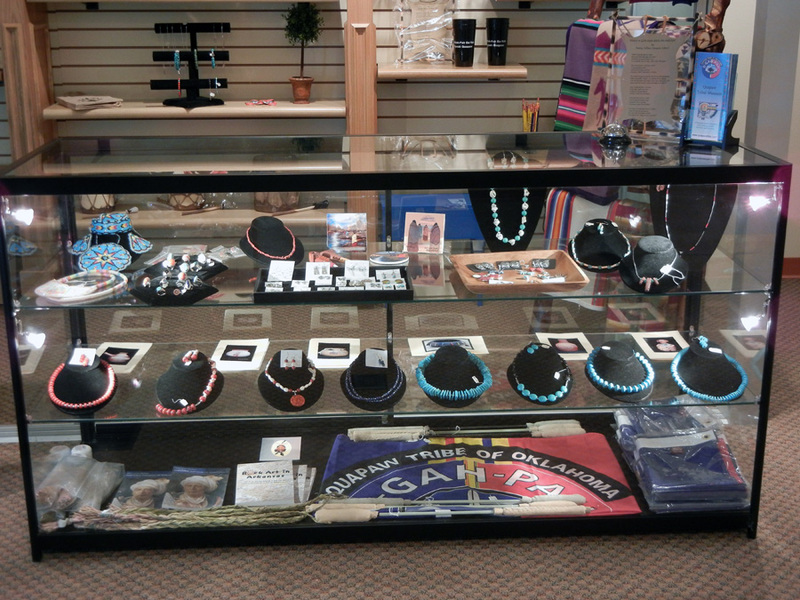 The Quapaw Tribal Museum Gift Shop is located at the entrance to the Museum. It is well stocked with many one-of-a-kind items, jewelry, Pendleton blankets, totes, leather handbags, robes, wallets and much more. 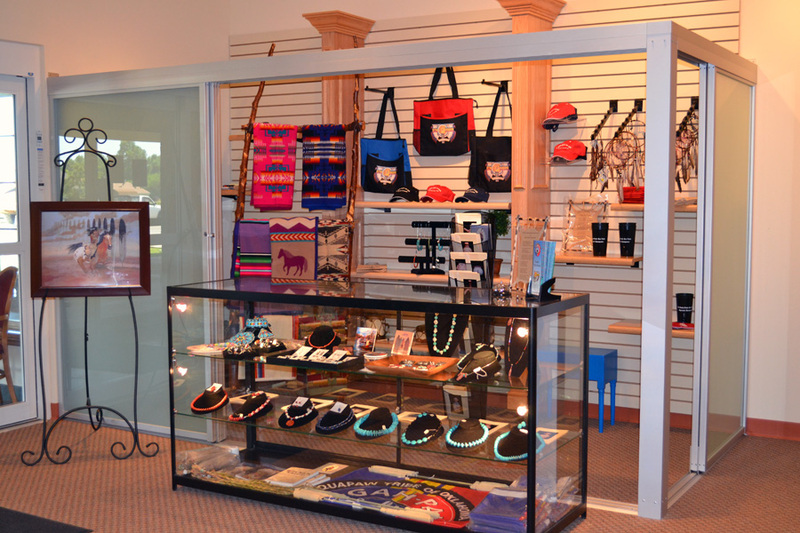 Gift shop hours are Monday - Thursday from 8:00 am - 5:00 pm and Friday from 8:00 am - 4:00 pm. Call our friendly staff at (918) 238-3157 for information on any item that you see here. The Quapaw Language DVD, Speak O-Gah-Pah featuring tribal elder and long-time language teacher Ardina Moore is available free of charge to each enrolled tribal family. Any non tribal member wishing to order a dvd may do so at a cost of $20 per dvd. There will be an $8 shipping/handling charge for each DVD that needs to be shipped (for both tribal members and non tribal members). DVD's will be shipped when available. To place an order you may email Karen Hildreth at e-mail or call 918-674-2619 during normal business hours. Karen will need your name, address and enrollment number if you are a tribal member. To pay for shipping and/or dvd cost with a credit card call Ally Rickey during normal business hours at 918-542-1853. 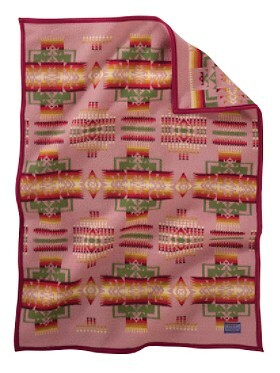 The Quapaw Tribal Museum Store now carries three new Pendleton blankets to commemorate our nation's veterans. Check them out!